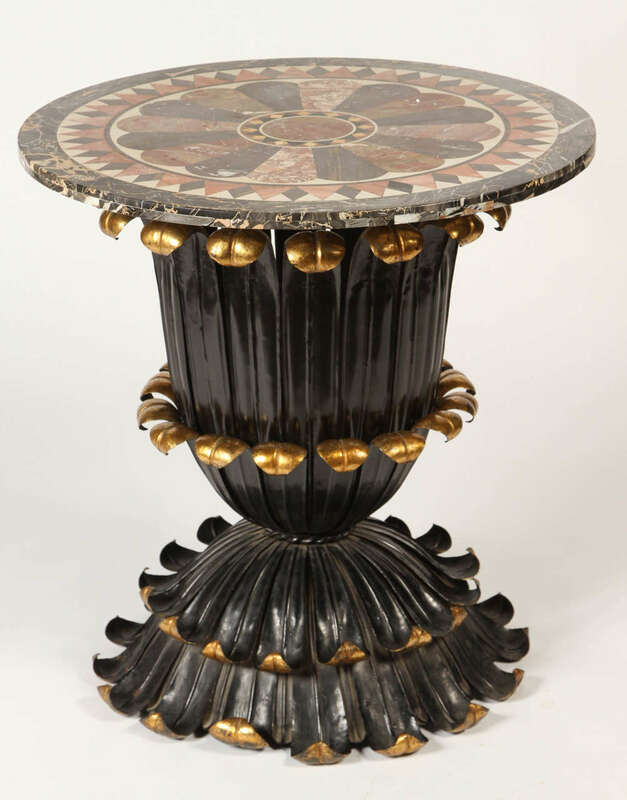 This stunning table from the late 19th century has a fantastic marble specimen top and a painted and gilt foliage-inspired base. 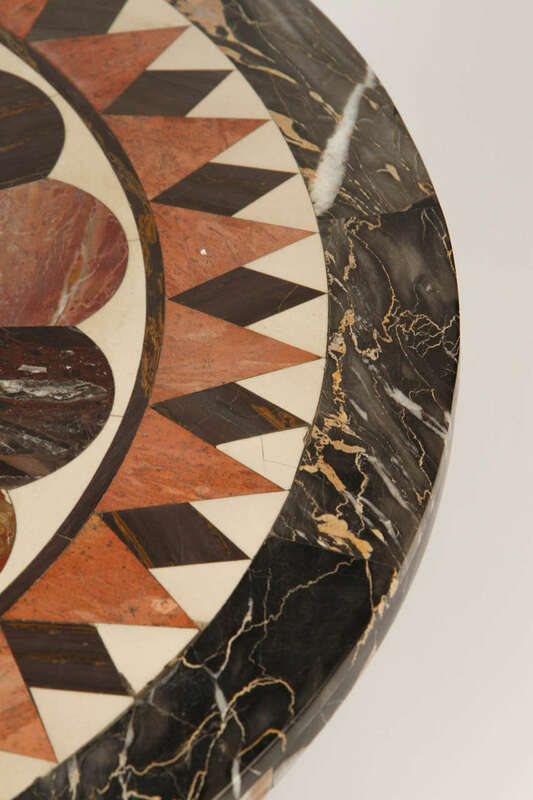 The deep color palette contrasts wonderfully with the feminine organic silhouette. 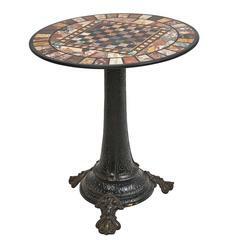 This table would be perfect for a lamp or an arrangement of flowers in a living room or bedroom for an added touch of class. 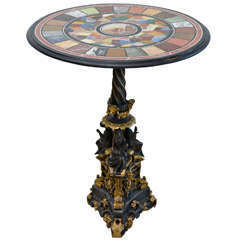 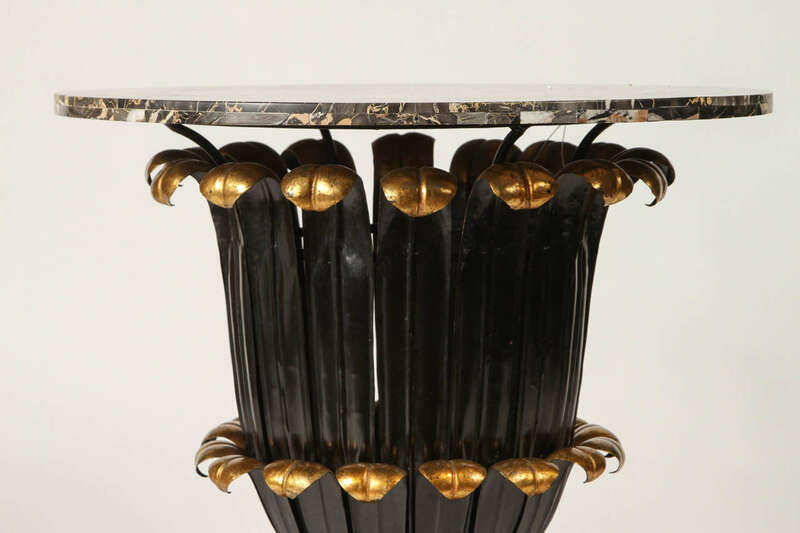 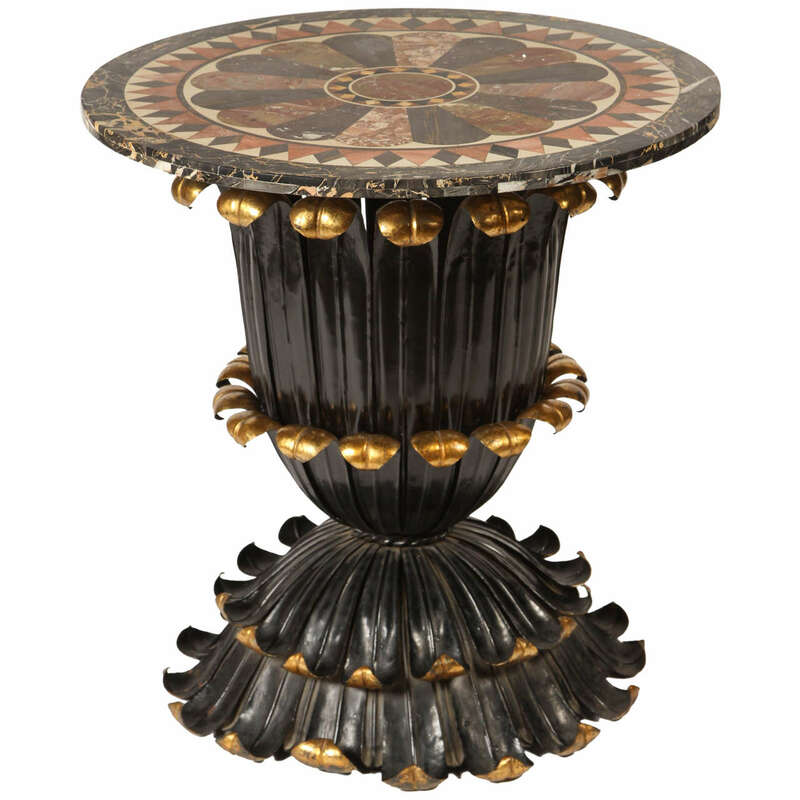 The top in various specimen marbles and semi precious stone with a micro mosaic center all above a patinated bronze and gilt bronze base. 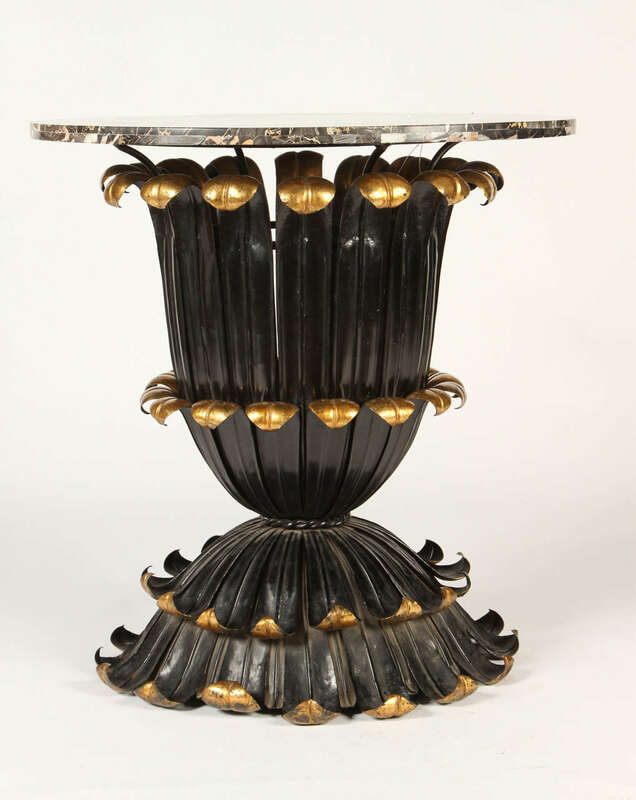 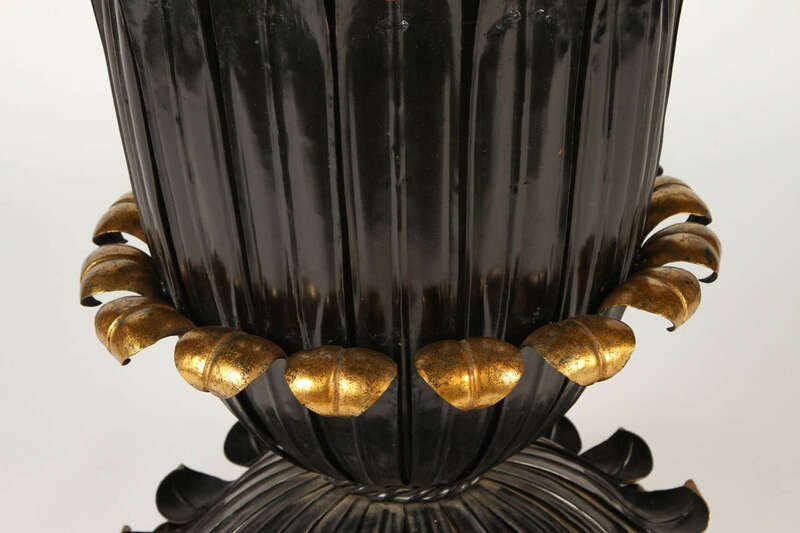 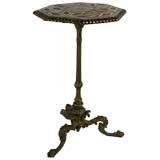 Italian, Florence, specimen marble topped gilt gueridon. 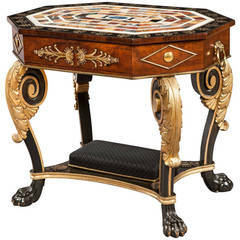 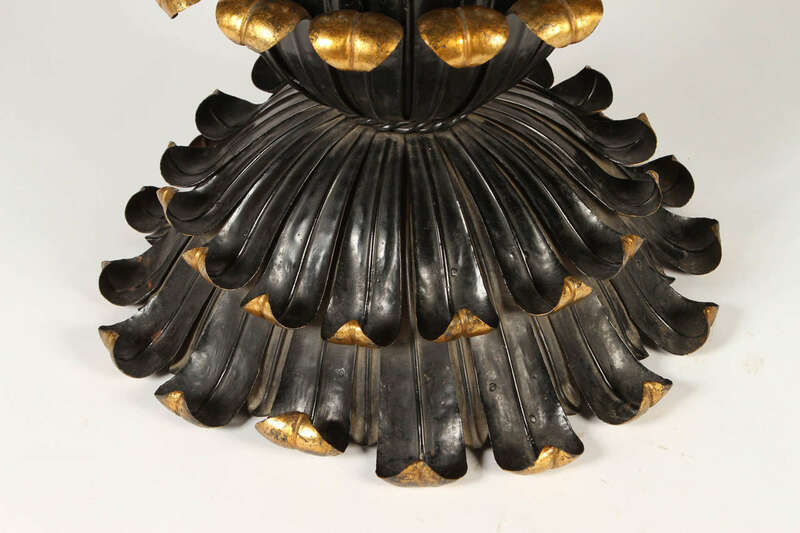 Top is specific style of Florentine craftsmanship and surmounting a Napoleon III gilt base. 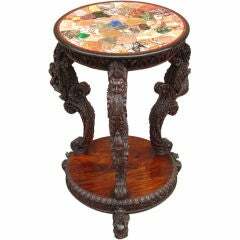 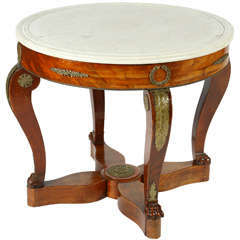 Burmese carved hardwood small table with specimen marble top. 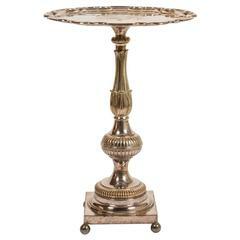 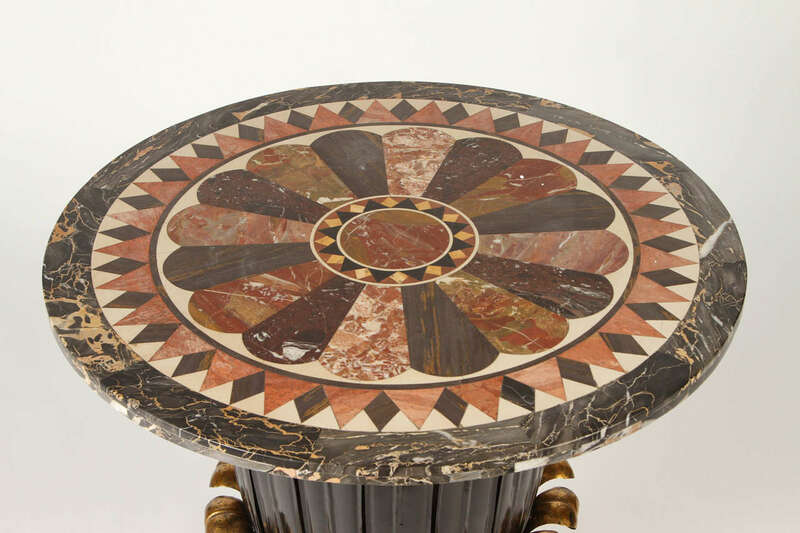 Marble side or occasional table features a round marble top and a hand-carved wooden base painted gold.